CNNSteve Lonegan appears on CNN. The former New Jersey chairman for Ted Cruz’s 2016 White House bid said Tuesday that delegates attending the Republican National Convention in Cleveland have a “moral obligation” to “break the rules” and stop Donald Trump from securing the nomination. 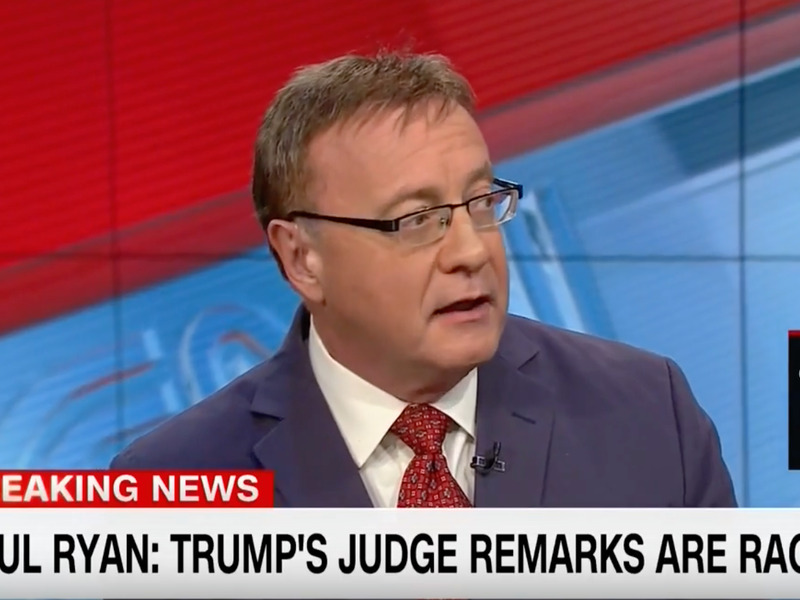 Speaking on CNN, Steve Lonegan argued that Trump “doesn’t seem to care about the damage he’s doing” to the Republican Party. Trump secured enough delegates late last month to become the GOP’s presumptive nominee. “It’s incumbent, there’s a moral obligation for the delegates in that convention to nominate the best candidate to beat Hillary Clinton. It’s clearly not Donald Trump,” he said. “I don’t care what the rules are,” Lonegan added, noting that he was calling for an all-out “insurrection” to take place. The comments came as prominent members of the GOP distanced themselves from controversial remarks Trump has made about US District Judge Gonzalo Curiel. House Speaker Paul Ryan said Tuesday that Trump’s comments represented the “textbook definition” of racism, and Sen. Mark Kirk retracted his support for the billionaire. Cruz said Tuesday that he was still “assessing” whether or not to vote for Trump in November.